1. Handle length: 18cm / 7.09'', Flying leaf: 18*2cm / 7.09*0.79''. 2. Feartures 2 LED lights. 3. Power: 2*LR41 batteries included and installed. 4. 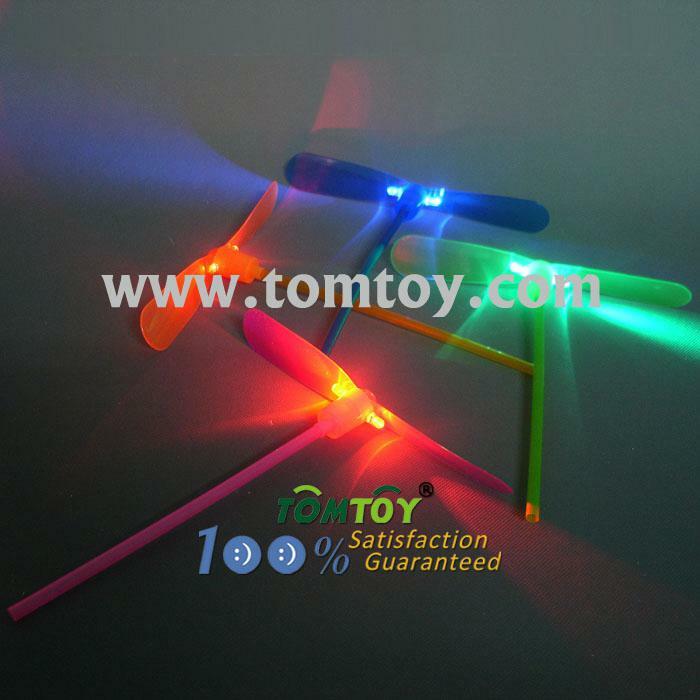 Bamboo-copter's twosome leaf plastic Propellers spin into the air like helicopters Hands rub moves toy's shank, you can make it fly in the sky. Suitable for age: children over 5 years.